The Shining Girls is a thriller about a time-traveling serial killer. It is the Beukes third novel from South African writer Lauren Beukes. The novel was published on June 4th and has already been picked up for a possible TV project. Mullohand Books says MRC (House of Cards) and Leonardo DiCaprio's Appian Way will team up to adapt to adapt the novel for television. Mullohand Books is a suspense fiction imprint of Little, Brown and Company. Josh Kendall, editorial director of Mulholland, says, "I haven't been this excited about a thriller since first reading The Silence of the Lambs or dazzled by an author's feel for character and plot since first reading Margaret Atwood. 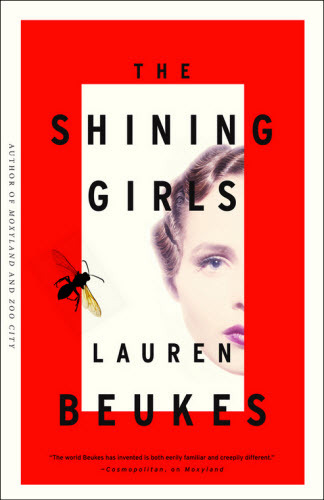 The Shining Girls reimagines what great commercial fiction can do."